Sgt. Charlese Jones, l-r, Pvt. 1st Class Allyssa Carrizales, and Sgt. Anaydeth Torres stretch during an aerobic circuit workout Feb. 5. 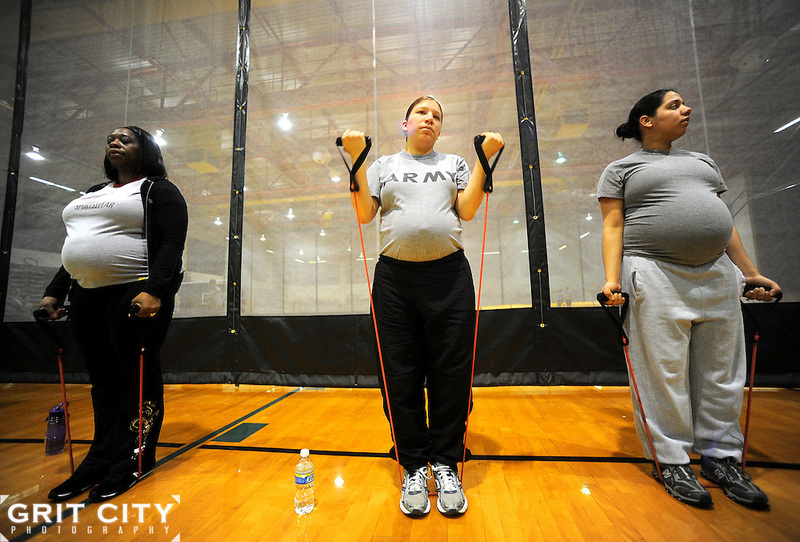 All expecting and postpartum Soldiers participate in the Army Pregnancy Postpartum Physical Training Program that features four days of exercise and one of related classes..